The Sweetwater Music Hall is a state-of-the-art community gathering place featuring the finest food, drinks and live music. 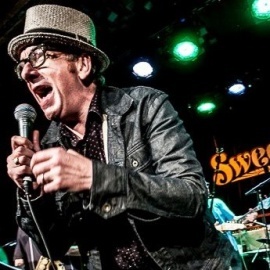 The original Sweetwater opened on November 17, 1972, and quickly made a name for itself as a nationally recognized landmark roots music venue and Bay Area Treasure. In January 2012, the historic name re-opened in its new location. Not simply the best room to see live music in the Bay Area (or anywhere! ), The Sweetwater now offers customers a full menu of entertainment and culinary options. From power breakfasts to happy hour, midday coffee to business meetings, organic lunches and dinners to late-night snacks and from the big games to movie nights, The Sweetwater is THE place to go anytime. We are an upscale wine bar, wine shop, and art gallery in old town Corte Madera. We offer unique boutique wine for your enjoyment.